But first, the best way to combat arthritis is by knowing which activities or movements irritate and amplify your pain. It could be that a specific activity causes you pain which means changing the way you handle that activity. For instance, if you feel pain after prolong standing, then it would be necessary to take small breaks and do some stretches. Say, the pain occurs in your feet, you could wear the right footwear. If you live a sedentary lifestyle, then it is about time to alternate sitting and stretching as well as do light and moderate activities. If you’re not sure what is causing flare-ups, try and journal your activity for a period of time – maybe 7 days. Nothing complicated. Just note what you did throughout the day and how you felt by days-end. Review your notes and look for similarities between days that were more painful. 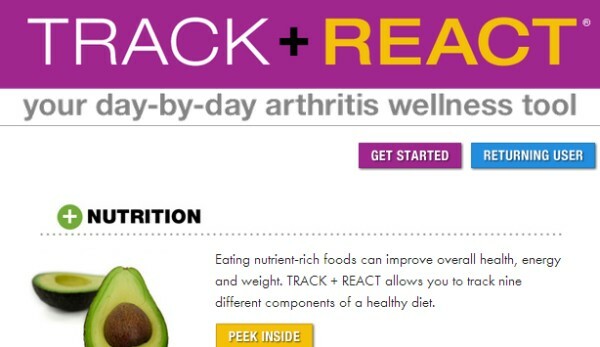 The arthritis foundation has an interesting tool called Track and React. Track and React wellness tool helps you record your daily arthritis symptoms which can be especially valuable when considered over time. With TRACK + REACT, you can record five symptoms, from arthritis pain, stiffness and fatigue to mood and joint function. The Results module is where all your efforts pay off. The Arthritis Impact graph shows you the relationship between what you do and how you feel. Set the graph for any date range and identify which of the self-management components you’d like to see. You can print out the graph to keep or to share with your doctor. You can learn more about Track and React here. Larger joints in our body are stronger, more capable than the smaller ones. So technically, larger joints are likely to accomplish heavier tasks. By using the right joints to do any task, you help minimize the pain. For instance, if the pain is in your hand, carry your purse over your shoulder instead of grasping to it. If your shoulders also ache, then better to split the load and use a backpack instead. Use the muscles in your thighs to rise from a sit instead of pushing off your hands. As for your smaller joints such as those of your fingers, avoid prolong gripping or exerting too much force when holding equipment. Instead of lifting objects, slide them across the floor or counter. Do you know that with right muscle position, you can minimize joint pains and let your body do the job more efficiently? Here’s how you can do it. Lift heavy objects near your chest and support the weight with your forearms while keeping your elbows close. When picking up items, bend the hips and knees first before you stoop down. Avoid twisting your body to awkward directions. When driving, position hands to 3″ and 9″ o’clock for better efficiency and easier grip. Bend at your hips and knees instead of your waist. 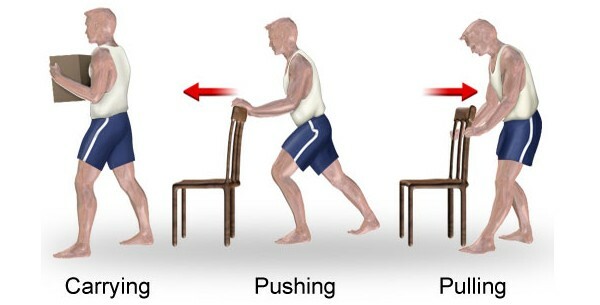 This helps you maintain your balance by dividing your weight evenly between your upper and lower body. Spread your feet apart to create a foundation of support.This helps you maintain your balance from side to side. Keep your back, neck, pelvis, and feet aligned when you turn or move. Do not twist or bend at your waist. You probably spend most of your time in your workplace. Know that arranging your office also improves mobility. For instance, if you type for hours, consider using wrist supports (we have those by the way). These help relax your hand and wrist muscles. 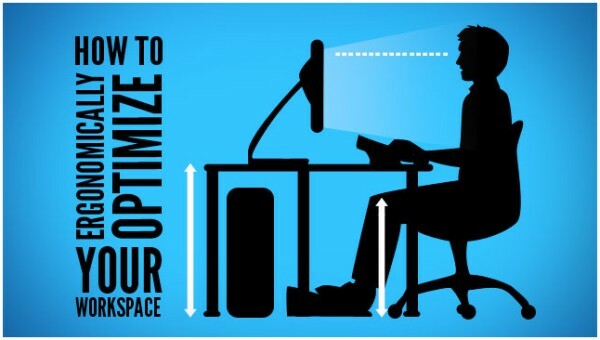 The height of your workspace should also be positioned accordingly. Avoid repetitive motions. Take time to stretch every one or two hours. A 3-minute walk could do the trick. Here is how to ergonomically optimize your workspace – soup to nuts. Heat therapy is very helpful for alleviating joint pains. You could take a warm shower or soak in a warm whirlpool or bathtub. The warm water helps reduce muscle stiffness, easing the pain. The heat also dilates blood vessels, allowing right blood circulation which then reduces muscle spasms. You may also buy heat pads at your local physiotherapy clinic or drug store. A cane provides stability by supporting the body weight and at the same time, reduces the pain. The use of a cane depends on where you feel the pain and which type of surface you walk on. As you walk, hold the cane on the opposite direction of the pain, allowing it to support the weaker joints. When going upstairs, use the cane on the strong side then pull the weak side with you. As for going down the stairs, lead the way with the weak side. It will help put off less stress on the affected area. Diet always plays a huge role when it comes to recovering from any sickness. There isn’t a single diet proposed specifically for every patient who has osteoarthritis. Nevertheless, the Arthritis Foundation established guidelines of the right type of diet for arthritis patients. These guidelines include eating foods that do not interact with your current medications. Alcohol, fat and cholesterol must be in moderation. Sugar and salt must also be moderated. Of course, eat a lot of whole-grain foods, vegetables and fruits. Calcium-rich foods such as leafy greens and milk are also good for you. Wait, what? Yes, the weather also affects your osteoarthritis aches. In a 2007 research done by the Tufts University in Boston, it was concluded that each 10-degree drop in temperature increases pains on arthritis patients. What can you do? Prepare some heating pads for the cold season. It wouldn’t hurt to hear the weather forecast. Sofa-sitting (or laying) while running a movie marathon maybe a good weekend stress getaway but that isn’t a wise daily routine especially for arthritis patients. You have to get up and keep moving. Exercise does not only boost energy and improve mood but it can also be the key to healing joint pains. Cycling, swimming, walking and light weight training 3 times a week have large benefits for arthritis patients. Make sure to consult your doctor first before doing any exercise. Do not exercise if your joints are inflamed. Take a break in between exercise routine if you feel pain. Avoid intensive exercise like heavy weight lifting. Prescription exercise administered by a physiotherapist can also be of great help. Your physiotherapist will design a custom arthritis exercise program specific to your needs. Follow the treatment and exercise programs prescribed by your physiotherapist. Physiotherapists assess the level of mobility, strength, and physical function of a person living with disease or injury. Then, using that assessment, the physiotherapist develops a treatment plan that is specifically tailored to the client’s needs according to JointHealth.org. What! You don’t have a treatment plan? Now is a perfect time to get one. 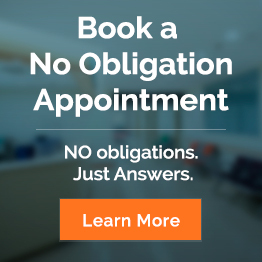 Consider a no obligation appointment from Body Restoration. Get all the advice you need on how physiotherapy can help you, before committing to insurance covered treatment.